In the case in which the domain name at which you were thinking had already been taken, avoid using the plural as a “fallback” form. “Short” and “catchy” are your new keywords! The more letters you enter and the more words you enter, the more likely it is that someone will fail to write the name of your domain or, worse, forget it. Nowadays, finding free domains is not that difficult; on the other hand, it is much more difficult to find a name that respects certain rules and, at the same time, is of considerable impact. It is precisely to combat this curious “writer’s block” that the domain tools are born , simple random name generators, often divided into suffixes and prefixes, very easy to use and, above all, without additional costs! Never use a registered trademark or a copyrighted word as your domain name. Before proceeding with registration, carry out a targeted search on the Internet. 5) Keyword … it’s better! Although it no longer represents a determining factor for the correct positioning on search engines, inserting a keyword that represents your company is very useful. Entering any punctuation in your domain name means one thing: losing Internet traffic. Same thing goes for the numbers which, if possible, should always be avoided. Registering domains is no longer expensive. Many services, for example, offer the possibility of buying domains for less than $20 a year. Take the opportunity to purchase multiple third-level domains: in this way you will avoid that your site’s Internet traffic is misdirected. 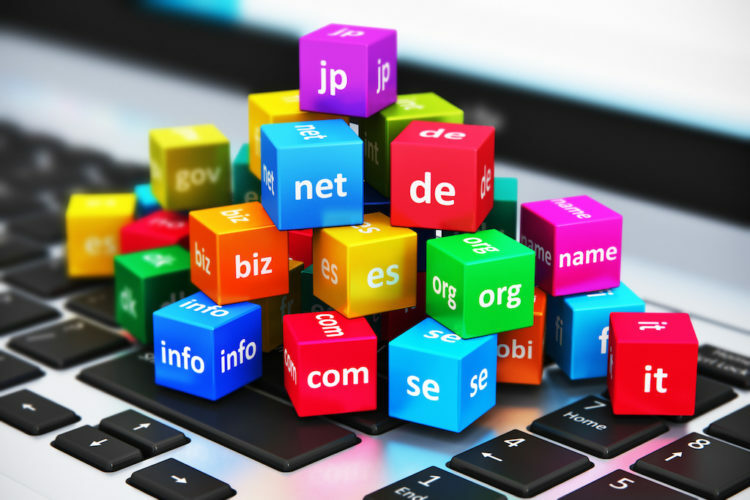 There are numerous third-level domains on the Net: some are very generic (.com), others tend to be economic (.net), others still represent nationality. Absolutely avoid buying a domain representing a nationality and then dedicating the content and / or language of the site to a different nationality. For this reason it should be avoided for example to buy a German .de domain and write the site in English and dedicate it to the English peoples. This domain will automatically be optimized for the German public by google. In fact for this type of domain on Google Webmaster Tools there is no possibility to change the geotag settings of the domain. Knowing the characteristics of each domain is very important in choosing the right name for you!